Leading Manufacturer of tufflam glass epoxy slot wedges nema g10, glass epoxy laminate sheet - nema g10 - ep3, glass epoxy sheet, glass epoxy laminate sheet nema g11 class f, tufflam glass polymide wedges class c sheet and tufflam glass epoxy laminate sheet nema g11 epgc 308 from Mumbai. We are offering Tufflam Glass Epoxy Slot Wedges Nema G10 to our client. Glass Epoxy Laminate Sheet - NEMA G10 - EP3 is used in Electrical Insulation of Appliance PSBs and mechanical lines. Glass Epoxy Sheet G10 is created from Electrical Alkali-free glass cloth that has been impregnated with an eoxy resin under pressure and heat. It possess high mechanical properties at medium humidity and good Electric stability at high Humidity. Glass Epoxy Sheet G10 has Anti-fire properties and is easily machined and Die Cut. We are able to custom machine and cut sheets to your specifications. High Flexural, Impact and Bond Strength. We also make material as per drawings. 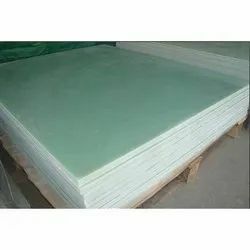 TUFFLAM GLASS EPOXY LAMINATE SHEET NEMA G-11 FR-5 is a thermosetting industrial fibre glass composite laminate consisting of a continuous filament glass cloth material with an epoxy resin binder. This product, first introduced in the 1950's, has characteristics of a very high operating temperature, high strength, low moisture absorption, excellent electrical properties and chemical resistance. These properties are maintained not only at room temperature but also under humid or moist conditions. NEMA G11 was the designation given to Glass Epoxy sheet composite by the National Electrical Manufacture Association (NEMA) to specify a consistent product between manufactures.It certifies to NEMA G11 FR5 and MIL-I-24768/28. Glass Epoxy Laminate Sheet Nema G11 laminate sheet is made up with a hight temperature epoxy making up the bulk of heavy sheet and then using finer glass cloth with high temperature resistant epoxy giving a high performance outer finish. Both G-11 and FR-5 are rated at 155 degree C continuous operating temperature.G11 has a low dielectric loss and has a retention of 50% of mechanical properties at 155 C. Because of these characteristics, this material should be used in applications where temperatures in excess of 130 degrees C are encountered. Because they are thermosets, no melting will occur with these grades, however charring will be observed after extended periods above this temperature rating. FR-5 has a UL flammability rating of 94 V-0. Glass Epoxy Laminate Sheet - NEMA G11 has Anti-fire properties and is easily machined and Die Cut. We are able to custom machine and cut sheets to your specifications. 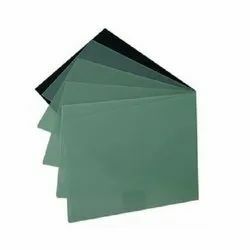 Tufflam Formable Glass Epoxy Laminate Sheet Nema G11 Class F is a Sheet with a very high mechanical strength used extensively in High Pressure Applications for Gaskets Jointings and Flanges. We are offering Tufflam Glass Polymide Wedges Class C Sheet to our client. We are offering Tufflam Glass Epoxy Laminate Sheet NEMA G11 EPGC 308 to our client. We are one of the renowned Importers and Exporters of the Tufflam Glass Epoxy Prepregs used widely in Cast Resin Transformers and widely used to manufacture the sheets. We are manufacturers of Slot Wedges required by the client for their HT and LT motors in a wide form. We are offering Tufflam Glass Epoxy G10 Prepreg to our client. Looking for Tufflam Glass Epoxy Laminate ?